Zoto App: 2500naira Call Credit and 1.5Gig Data - . ::World for News & Digitals Update::. 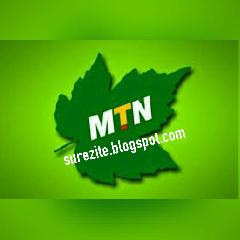 This is another new dimension from Sure_Zite Admins to Mtn subscriber and other network subscribers but I want to make emphasize more on Mtn User for now. Note:Start your registration from the bottom of the page to avoid error, While registering your ZOTO acct, Uncheck the box "I have referrer "
Note: If you want to receive the 2500 call card you have to migrate to MTNbettertalk by dialling *123*2*6# before you load the Zoto 1000 Bonus. After that you can also use the 1000 airtime for normal subscription.